Sekumpul Waterfall, a very exciting journey. 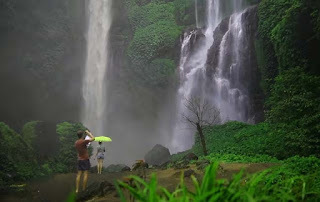 Located in Singaraja, Buleleng Bali, approximately 10 Km north of Bedugul tourist attractions. Towards this tour, along the road you will see several Balinese local houses that are still thick with Balinese custom houses. Rambutan trees and towering durian trees. It will be a fascination, when the tree is fruitful. The terraces are beautiful, it's like we're in the beautiful Tegallalang. And when it comes to the destination, it looks like a waterfall surrounded by high cliffs, and overgrown by trees and other greenery, making the atmosphere feel colder and more beautiful. Wow that looks like an amazing activity!